Lauder Business School is proud of its successful alumni working around the globe for top companies or developing their own businesses. 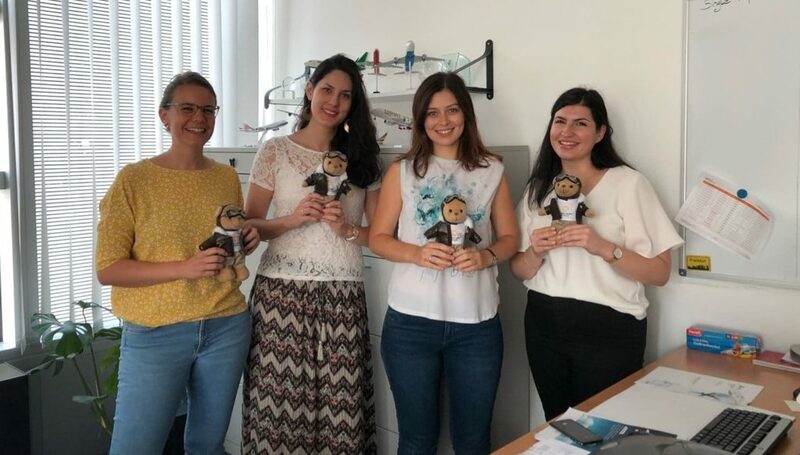 Some of the alumni have done their first internships using the Erasmus + funding and are willing to share their experiences, as well as to explain how studying at LBS has contributed to their professional development and career. As a student of Lauder Business School, I had the great opportunity to take part in the Erasmus+ internship program and work as an intern in the Aviation Quality Services (AQS) for six months. AQS is a daughter company of the Lufthansa Aviation Training that provides services in the area of quality and safety management, offering operative and management tailored solutions to the aviation industry. Its services range from audit programs to different training courses across the world. As an intern in the field of training management, I had many organizational tasks, such as contacting instructors and participants for the establishment of training courses; contacting service providers and venues; preparing training material both for the instructors and the participants; assigning participants to training courses and communicating information; processing training feedback and communicating results. What I really liked about the workplace is the collaboration and the teamwork across all departments. As to leadership and management, I realized how many aspects we learned during our psychology courses at LBS, which were relevant for my experience in the workplace. I was fortunate to share my work space and office with the Quality Control department, a small team of quality control professionals that treated me as part of the team from day one. An amazing role model for me was the team leader of the Quality Control department, who displayed great leadership skills, as I could see her patience, humility and empowerment skills within her communication with her team. Along with the challenges the internship entailed, I feel fortunate to have had the opportunity to learn and experience from the diverse team the company had to offer and the overall nature of the organization. My time at AQS was very interesting and the atmosphere was very friendly as well. Erasmus+ Internship Report DDB Budapest – Creative Advertising Agency As a student of Lauder Business School I had the opportunity to do a 16-week long internship abroad from Vienna, Austria. After a long consideration, I chose to go back to my home country, since I was offered this opportunity at a creative advertising agency in the Digital & Business Transformation team. When I got back to Budapest, the company immediately seemed very friendly and later on it only became better. I was very excited about the fact that there were a lot of international employees at DDB and the working language was not only Hungarian, but also 50% English. On my first day, the team directly threw me into “deep water”, and they immediately involved me into a huge website redesign project for one of the biggest universities in Hungary. This project involved a lot of segmentation exercises and developing personas for typical users for the website in order to understand how to make the site as user-friendly as possible. In this particular exercise, the Marketing course gave me the sufficient basis to know what to do, thus I could participate in the workshop right away. Since the company is a creative agency, the methods of working are also innovative. We were barely sitting down because a lot of the processes involved more people. After experiencing a couple of workshops and meetings, I could confidently state that the group projects at LBS helped working effectively in a team. Another milestone I experienced was when we held a project presentation in front of one of the clients, and beforehand I asked the boss if I could present it with them. Eventually he said “yes”, regardless how surprised he was, since interns don’t usually ask this. After I presented for the first time, the boss told me that from now on I am also taking part of all the presentations. The numerous group and individual presentations without a doubt gave me an advantage to be able to present in front of anyone about anything professionally. Finally, to state a specific example when I used the knowledge I acquired at LBS was when we created a student-experience-journey for another university in Hungary. The mapping process looked just like as a process-journey that we learned during Supply Chain Management, although instead of processes, we focused on customers and their milestones, therefore I could easily get that done! Choosing this internship was one of the best decisions I have ever made. Not only did I found the kind of industry I want to work within marketing in the future, but I also had a great time while working. The colleagues were very friendly and opened with me, and I feel like I truly became part of the team. The department that I was closely working with offered me to extend my contract and they asked me to stay and work for them as a normal employee. This traineeship was truly an amazing experience filled with learnings, knowledge, fun and of course work. I would without any questions do it again! Anyone that wants to go abroad for the internship, I can only encourage them to do it, because its such a great opportunity. I was very proud to have the opportunity to complete my internship at ADEQUITA Capital Ltd., a boutique investment bank in London, United Kingdom. My internship has taken place in the department of mergers and acquisitions where I have gained priceless experience and pursued my desire. 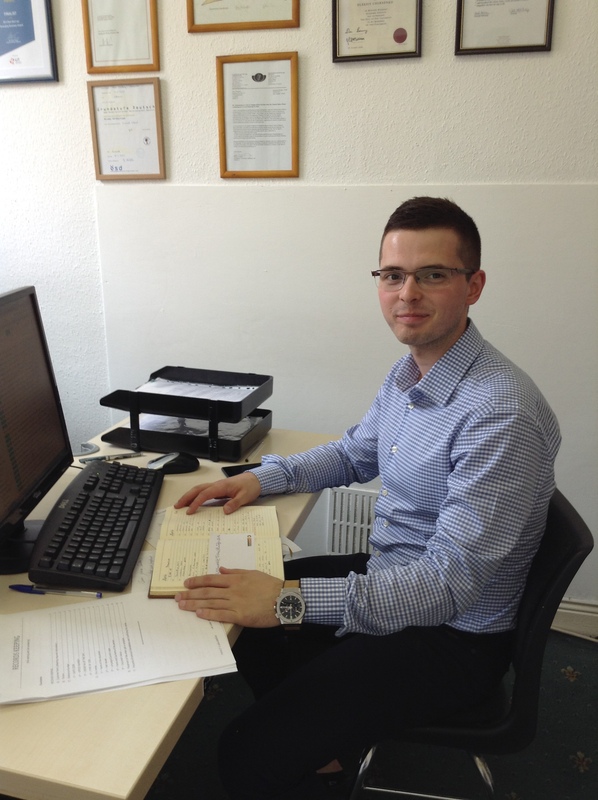 During the internship, I was focused on several tasks and gained practical experience in diverse financial areas. These tasks include the investment opportunity valuation, marketing and sales elaboration as well as administrative tasks that are required for daily operation of the company. Other daily office operations include accounting tasks that require inputting purchase invoices, create sales invoices and keeping track of daily expenses. Additionally, I have performed website reports and analyzed the website user traffic by keeping track of visitor behavior. The preparation of corporate presentations on PowerPoint as well as graphical analysis in Excel, showed major importance of IT skills that were acquired during the studies at LBS. These skills as well as financial modelling skills were crucial and were further explored during the internship. Thanks to the international and multi-cultural team at ADEQUITA, my communication skills were further developed which I am confident will be the key for my future career in our globalized world. Especially, moving to a different country for the internship has made me a lot more flexible to quickly adapt to a new working and living environment. It is a great opportunity for anyone who looks forward to work in a different country with valuable international work experience. This described traineeship was an outstanding experience where I gained valuable knowledge in combination with great work and fun. Without any hesitations, I would love to experience everything again! I am sincerely grateful for the support by Erasmus+ that has provided me help and support throughout the internship and enabled to gain important experience for life. 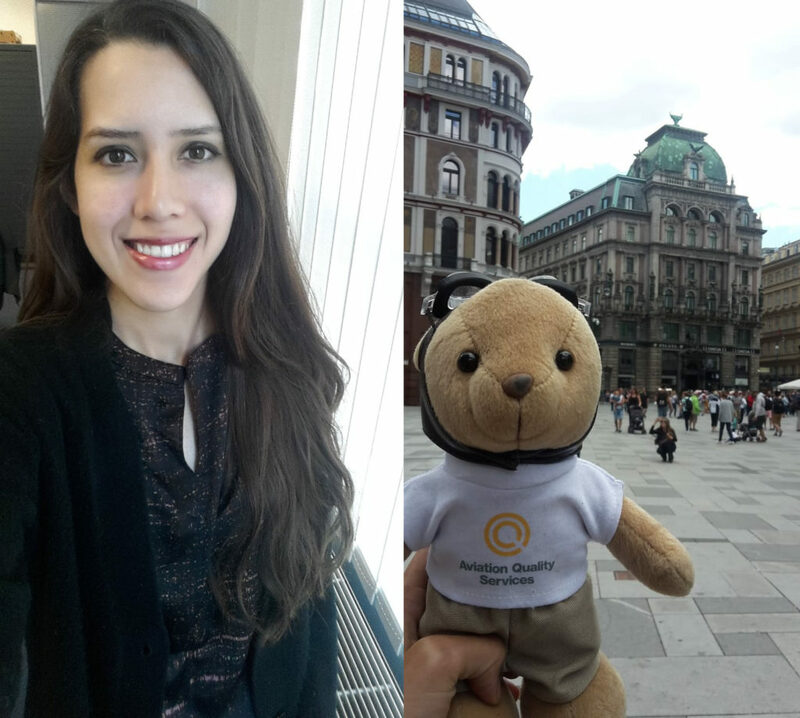 As a student of the Lauder Business School Vienna, thanks to Erasmus+ I was lucky to complete my mandatory internship @ InstaFreight in Germany. I specifically chose this company, as I wanted to use my gained knowledge during my studies and be part of a company’s path of success. My areas of responsibility were to work in the operations department where I afterwards got the title of the Junior Forwarding and Transport Manager. The responsibility was to carry out all orders and calculate the revenue as well as the margin for each. 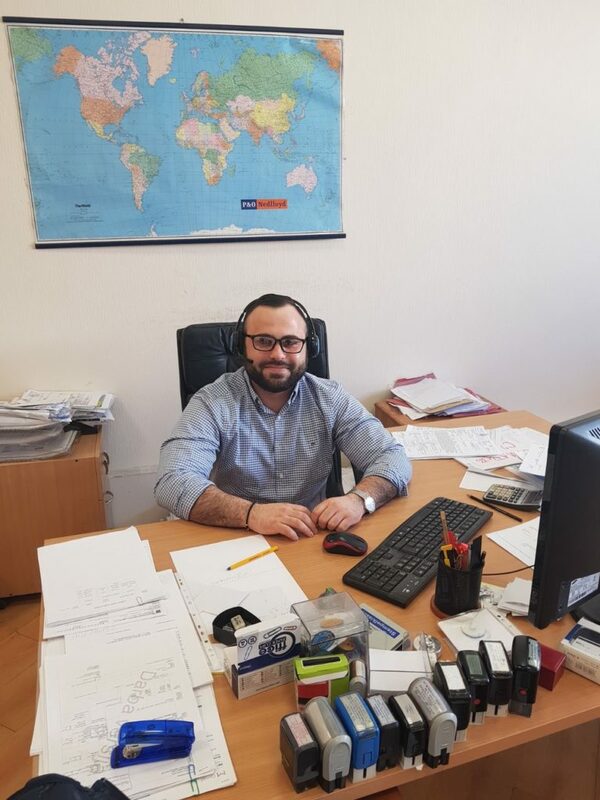 In order to provide the accurate costs, the operations team uses a special Excel Sheet and compares costs which are dependent on volume, weight and height. During my studies at Lauder Business School I gained basic knowledge about Supply Chain Management and IT. Especially these two were of a tremendous help during my internship in price calculation. I had to use excel sheets and create Pivot tables. Another personal challenge was the creation of a Roadmap for the whole department which was – to divide tasks and responsibilities including priorities for an overview. Additionally to that, I created a presentation explaining the meaning and actual responsibilities of consolidated cargo, which was my focus during my internship. During our Jour fixe, we were discussing the revenue and what areas have to be improved. Additionally I truly appreciated that my supervisor always invited me to every investor and partner meetings. A competence acquired during my studies at LBS was working in a team as well as an individual. I had different challenges where I had to work with my team and my supervisor together especially while creating a roadmap. Since I was responsible for the B2C – communication, I could apply my communication skills which I acquired during my studies in presentations and group works, and especially courses like Group Dynamics and Project Management which laid the foundation to my communication skills. A hands-on attitude was needed when dealing with customer calls and who required immediate action. 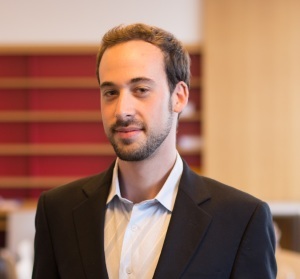 In my position of the Project Manager during my studies at Lauder Business School, I have internalized a can-do attitude and therefore a high priority for me is to concentrate on solutions. This helped me especially when discussing and clarifying issues to our customers and providing the needed information to our Key Accountants. Likewise, our psychology classes turned out to be very helpful while working in an international Startup. The cultural diversity and backgrounds of my colleagues seemed strange to me in the beginning. The corporate culture in InstaFreight GmbH was focusing on having an open workspace, a simple dress code where anyone should feel comfortable and low hierarchy. Especially the low hierarchy created a feeling of a big family and made everyone feel as if their contribution truly matters. Looking back, I genuinely enjoyed every single day of my internship and am very grateful that I have been part of InstaFreight GmbH as this company truly made me feel like a family member. The practical training gave me the opportunity to work in a new and challenging environment, whilst applying the soft and hard skills that I developed at LBS. For 4 months, I worked in the InstaFreight Company in Berlin, first as a Finance Intern, then as a Marketing and Sales Intern. From Day One I was integrated in the InstaTeam as they called it and a full member of the workforce. Regardless my status of an Intern, I had my full share of responsibilities that contributed to the work of the company. This was one of the aspects that I love most about Start-Ups and especially about InstaFreight: Every employee is valued equally and the hierarchy is very flat.You can talk to the CEO just as you would talk to a colleague. Because of this reason, the working atmosphere was always very friendly and inclusive and allowed me to bring in my own ideas and thoughts. The practical training allowed me to actively take part in the organization, gain valuable work experience and get to know a new culture and country. My daily activities included working directly with the CEO and having individual responsibilities from Day 1. During the end of my time at InstaFreight, I handled a personal project regarding the implementation of the EU’s General Data Protection Regulation within the company. At first such a responsibility may be scary, but in the end, it was one of the very things that helped me grow the most during my internship. Although it was a great challenge for me, I managed to successfully finalize the project and hand it over to the CEO before I finished my internship. There is a special kind of satisfaction knowing your personal work has brought the company further, helped other employees or aided in achieving the revenue target. I loved working in such a young company as InstaFreight where the atmosphere in the office is completely different from your normal corporate job. Every Friday, we had an All-Hands meeting, where the management team updated everyone about the revenue of the week and current operations. Afterwards, everyone was invited for drinks and beer at the office and you could easily find yourself talking to the CEO and other managers. Overall, I enjoyed my time at InstaFreight immensely and I am extremely grateful that LBS offers such an opportunity to their students, as I feel like it is one of the most important aspects of the studies and helps students prepare the most for their future career. Thanks to the internship at Vodafone, I was able to greatly enrich my wealth of professional experience over the four months. While studying, one learns a great deal of theory and can well imagine how it will be implemented in the end, but the ability to put this theoretical knowledge into practice has to be developed. This starts with the co-creation and involvement in development processes that are not self-evident for an intern. This allowed me to accompany individual phases differentiated and learn extensively. It includes creating a business case, soliciting clearance and financial resources, tackling technical barriers, and, for example, creating a pricing policy and marketing strategy. Here I was able to put many of the lessons learned into practice for the first time and generally see how these learned things are concretely integrated into a company and ultimately found in the product or service. Moreover I was involved in the long-term and future planning of the projects and, more specifically, use cases for these. In addition, over the months I helped to plan and implement the projects and was able to witness the launch of the project “Alexa Vodafone Skill” that I supervised during that time. Another point that, as mentioned above, was a constant part of my job was the creation of PowerPoint presentations. This task might sound simple, but during these 4 months I realized how important the exact presentation of an idea can be. Here at the beginning of the internship I had at most mediocre skills, but with time I learned and was able to perceive an increasing quality of my PowerPoint presentations, both in content and outward design. As a so called junior-product manager, as I was referred to during my internship, I took over several responsibilities regarding these projects. The main task of this position was to act as a cross functional communicator and to make business requirements for the different departments. My internship has been done in Riga, Latvia. I was working at SIA VM Marketing. During four months of my internship, I was assigned to operate under the marketing manager as a marketing assistant. 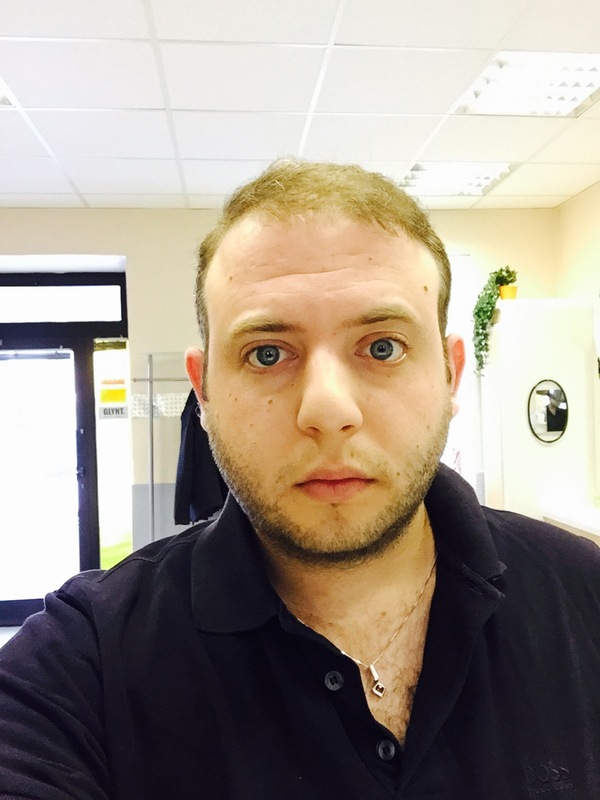 At first, being part of such a small team in a foreign country was very stressing due to the massive amount of new information associated with applying the theoretical knowledge I acquired during my studies as well as the way the company handles situations on a daily basis due to its different culture. …the management did not expect a student who is going through his specialization to know all areas related to that job. However, I relied on the assumption, that specialization is intended to contribute to and to enhance the knowledgethat has been acquired so far. That assumption turned out to be correct, and the management did not expect a student who is going through his specialization to know all areas related to that job. Throughout the four months of my internship, my tasks included assisting in research and analyzing data by gathering information regarding competitors’ products and services. In my routine, despite being under the head of the department, I also received assignments from the rest of the staff such as data entry and preparing marketing materials which was an excellent opportunity to enhance my knowledge and skills I have acquired so far. Additionally, I have been given a fantastic opportunity to experience another culture besides the German speaking and Israeli culture and could identify similarities as well as differences among those cultures. The Latvian business culture is more person-based rather than task-related. Therefore, there is less strict and formal environment compared to the German-speaking culture. Furthermore, I was lucky to try the local food and way of living by hanging out with my colleagues and having trips around Riga, and Latvia in particular. From my point of view, in a stark workplace there is less emphasis on employer-employee relations; instead, there is a mutual support to produce the best results. I preferred doing these tasks not only because of the chance to acquire more experience but also because of the idea that other colleagues trusted me to carry out an essential mission. The sense of efficiency motivated me to continue to invest and explore my potential. In general, I am pleased that I took part in this mandatory internship in another country and and thanks to the Erasmus+ Program. This opportunity gave me the essential experience I needed on the labour market. Moreover, I have learned a lot about new work environments and I set my goals for the future. More than that, thanks to the Erasmus+ Program, I have had the opportunity to get familiar with the unique Latvian culture, met fascinating people and made new friendships which will continue and deepen in the future as well. Another advantage of such program was the opportunity to strengthen the Russian language which I acquire, and yet, do not practice enough, due to the fact that my studies are in English and the university is located in Austria, a German speaking country. Overall, this internship revealed new possibilities for my upcoming future and assisted me in deciding for my future course of studies, which I see as a valuable and honoured opportunity. The Bavarian State Ballet counts as one of the most influential ballet ensembles on the international dance scene. Annually, dancers from all over the world join the ensemble and perform a broad repertoire composed by the ballet director. 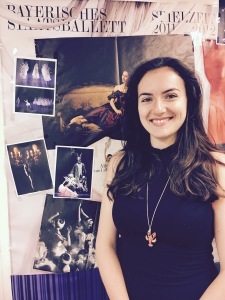 During 5- months of my internship, I have been working for the Bavarian State Ballet in the ballet direction. The ballet direction consists of 7 employees and 3-4 interns who work in different areas such as press, marketing, administration and disposition/tours/rehearsal planning. My job consisted of coordinating the administration and production management. Since I was raised bilingually (Russian and German), Russian was the main language of communication with the director and the dancers. Moreover, I was the direct link between the administration and the dancers. The intercultural and psychological knowledge that LBS provided me with, truly helped to understand the cultural differences and attitudes. Living in Munich has proven to be an exciting and wonderful experience. People from all over the world are here, enjoying the melting pot of cultures and ideas. 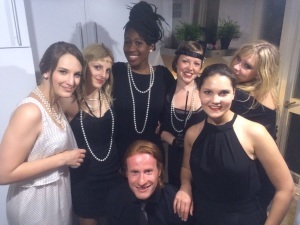 Together with the other interns we explored the exciting life in Munich. During the internship we worked, we laughed and we cried (only tears of joy). In fact, it was fantastic to get to know so many interesting people who have a different vision of the world. Fortunately, my position as an intern was extended for another half- year term. Starting in September, my role will grow from merely managing administrative matters to additionally taking on the responsibility of running the auditions. As such, I will have direct contact with potential ballet dancers. The work enriched my skills as a professional and made me a more focused and mature person. Moreover, working in a culturally enriching environment like the State Opera has brought me the kind of joy that is hard to find in the working world. I would recommend the Erasmus+ program to every LBS student because it is a life time experience where you start to understand your goals in life and your personality. I spent 3 sunny months in Barcelona, Spain. When I first got there it was a bit hard to get accustomed to the time differences. The funny thing about it is that there is not really a time difference between Vienna to Barcelona but in terms of culture there is huge one, i.e. ours of work, meals time and party time. As you have probably heard Spanish people like to take their time – and indeed it is not a cliché. I was working in a real estate company in the online marketing department. The job was really interesting and varied. Although I am well familiar with the online marketing realm I was able to learn a lot. I was responsible for the SEO (search engine optimization) for the company’s website, which involves making the company’s website more user- and search engine friendly. Good SEO practices can drive a lot of website’s traffic and convert this traffic to paying customers. SEO will directly influence the company’s revenue and its success. Therefore expertise in this field is highly important for modern business. My day usually started around 10AM, then each worker had his own personal tasks and twice a week we had a marketing meeting. On those meetings each of us spoke about what we had accomplished so far and what are our future predictions. At the end of the meeting each of us suggested ideas and we got feedback on our ideas and accomplishments from our peers as well from our direct supervisor. This summer internship contributed a lot to my online marketing knowledge as well to my business understanding. I have seen a lot of aspects that I liked in the company culture and some that I did not. I believe that I have learned in these 3 months more than in one year at school. With that being said I think that a combination of studies and work experience is the right formula for a successful future career. This is a report based on the impressions made during the internship in Spain. On the student´s request we took out the name and picture. The company that I choose to do my internship was “Conta Flexible Products”. It is located in Gebze, an industrial town located in the city of Kocaeli, next to Istanbul. I worked in Conta for 4 months and it was a really good experience not just because it was in my home country but also because it was an internship of Erasmus+ program. 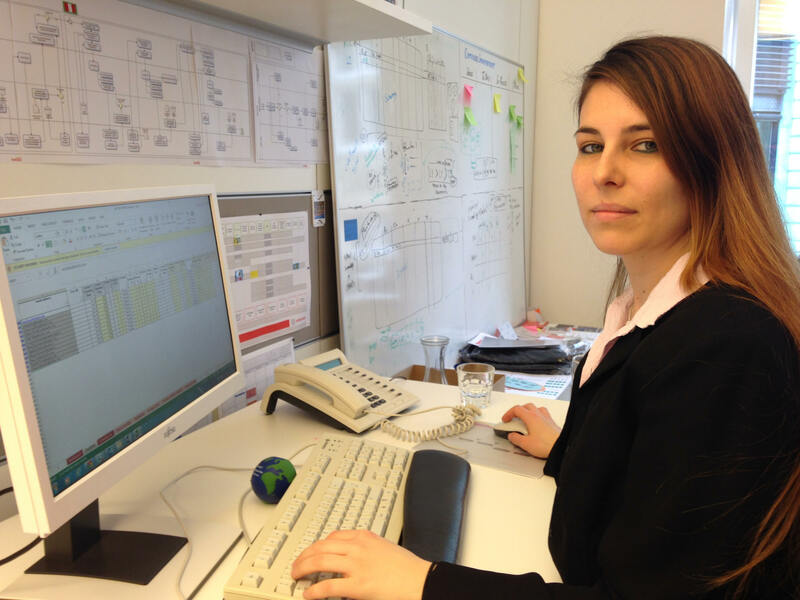 My internship at Conta Flexible Products was really beneficial for me both on personal level and working experience. I had the chance to find out what do I lack in regards of basic business life and what my strong points are. I implemented my courses that I took on LBS on my working ethics and they came out successful as I got compliments both on my work and my way of thinking. I did my best to put out all the education that I received on LBS in order to create a better future for me and prove that any student that is coming from LBS has the required skills to be a part of the business life. The evaluation that my employer gave out proves my intentions positively, as they were happy regarding my performance and they will be happy to accept prospective interns from LBS. I spent 4 productive months at Conta Flexible Products and concluded my internship on high notes. 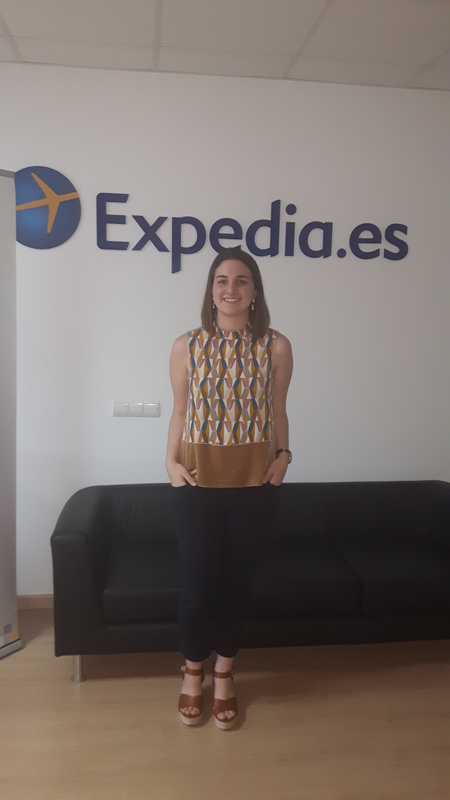 During the course of the internship, I had the opportunity to work for Expedia, a worldwide leading online travel company. I could definitely say that is has been one of the best if not the best experience I have had in my professional life. Throughout the 4 months of internship my primary responsibility was to ensure that Expedia’s hotel which were assigned to me to take care of, remained competitive, attractive and company relevant. I was continuously working with the hotel partners by presenting them the advantages of Expedia’s market place for their businesses. In this process, I not only grew professionally but personally through the well-structured and supportive company culture that Expedia has. As well as acquiring skills and knowledge I was able to implement different competences acquired during my studies at LBS mostly related to finance, psychology and communication areas. This experience helped me finding more about myself and understanding how to work with my different qualities in order to make the best out of them at work and in my daily life. Overall, this opportunity opened me the doors to a professional future in one of the best known companies in the world which, I believe, is what a 21 years old student is looking for the most. as doing my internship in Barcelona for 4 months. During my internship I have acquired plenty of professional knowledge as well as cultural understanding towards the Spanish culture. I have noticed that the cultural characteristics between the German-speaking, Spanish and Israeli culture have similarities as well as differences. The German-speaking culture is more formal and physical proximity is often more absent, while the Spanish culture has closer proximity that is similar to the Israeli culture. In addition, working habits and processes tend to be more flexible and adjustable to particular situations, and less strict than in a German-speaking context. My internship at Suitelife has been in the real estate industry and focused mainly on Online Marketing, Writing original content and SEO among other jobs with the goal of increasing more traffic to the company website. The company staff was relatively small and the different jobs were distributed among all of the staff on a weekly basis. Each day started at 10am until 7pm, and every Monday we had a KPI meeting in order to monitor the web site performance and define objectives for the following week. The internship helped me to gain valuable knowledge regarding online marketing as well as managing a business in the real estate market. Therefore I am sure that the knowledge I have gathered in the last 4 months will contribute greatly to my future career and the practical experience will help me to fulfill my full potential and to understanding towards other cultures. 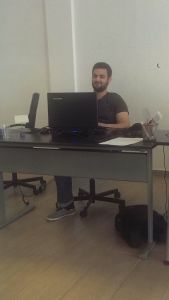 For my internship I have worked at d.ream (Dogus Entertainment and Management Company ) in Istanbul,Turkey. During 5 months of internship I was an Sales Intern at Sales Department. The department which I was affiliated with was mainly responsible for selling group organizations under the roof of d.ream restaurants according to the customers’ budget and needs. Under d.ream company we had more than 40 restaurants which all had different cuisines and tastes. All of these restaurants had different specialties. Some of them had few, some of them had big meeting rooms, which companies can rent and have a meeting while having dinner privately. I was responsible for creating, developing and sending our offers to our customers for these restaurants based on their needs. In case of a positive return I was also responsible for organizing the event. The job required good communication skills within and outside the company, plus a good understanding and sensing of the customer’s needs to make the right sale. Combining the communication and sales skills that I had gained at LBS, d.ream company led me one step ahead compared to other interns. Moreover I was also responsible presenting the weekly sales data and creating some offer documents. The knowledge and presentation skills gained in IT classes at LBS helped me through this process. Having this opportunity and experience at d.ream company was a privilege for me. 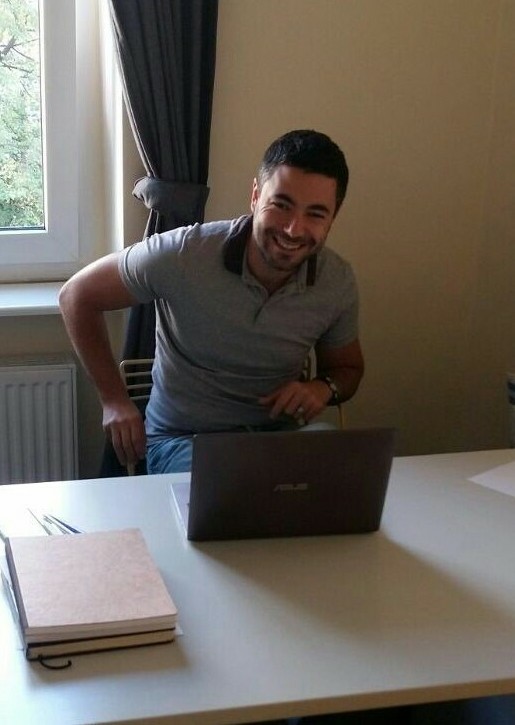 To be a part of this of one of the biggest companies in Turkey helped me to improve my sales and computing skills. Most importantly regarding to my past experiences as a first time I experienced how corporate companies set their goals and strategies and make their sales to achieve these goals. I spent the last semester of my studies in Aachen –Germany working for “ZENTIS”. Zentis is a sweet Producer Company specialized in production of Marzipans, fruit preparations and chocolate. Being there, I was assigned to their controlling and consolidation department. I was responsible for internal company calculations, analysis of performance, controlling of financial reports and interaction with the subsidiaries’ controllers positioned abroad. As a non-native speaker of German working in a German speaking company I have also gained the possibility to improve my language skills, being mostly required to interact in German. Having the opportunity to work and live in Germany and the requirement to adjust to a different working culture has also contributed to my personal development, enriching my “tool box” of traits and dispositions to be used to anticipate life situations and personal expectations in diverse work frames. During my Professional Practical Training period I choose to go to Barcelona, Spain in Rosa dels Vents Group . At the beginning I was thinking to stay in Vienna, but when I reconsider it, I realized that this is the time for me to explore more and more places. Spain and especially Barcelona was always one of the places that I wanted to visit and try to stay for some time. The job opportunity that I found there with the combination of Erasmus + funding, they were two important incentives for me to take that decision. The fact that I had a knowledge of the Spanish language but due to the fact that I did not practice it for many years was one more boost for me to go to that country, for practicing Spanish. I think I managed to improve my language skills by pressing myself to speak everyday with my colleagues Spanish but even with my new friends. 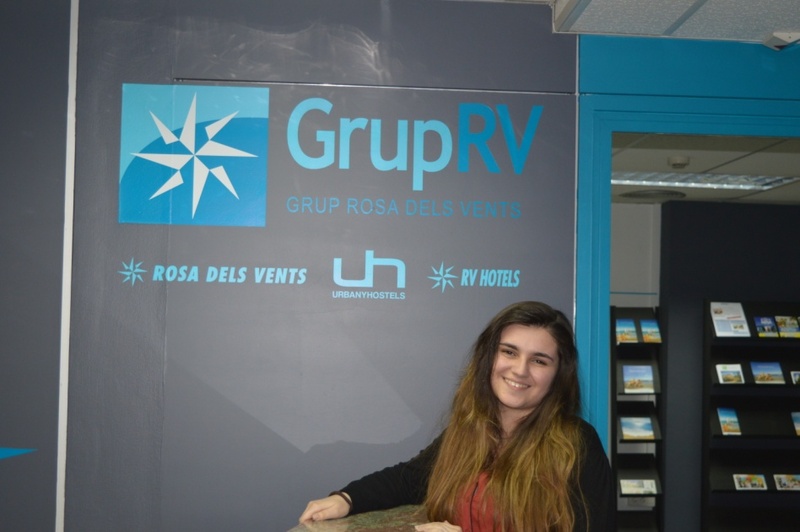 The company that I worked in, it consists from different kind of businesses; “Hotels and Apartments-RV Hotels”, “Urbany Hostels”, Summer Camps in Catalonia and Summer Language Camps Abroad. My role in the company was in the International Sales department for promoting our programs in England, Ireland and Malta to other agencies around Europe, Russia and China. I huddled many challenges during my internship dealing with many people with different culture backgrounds and perceptions. The fact that LBS environment is extremely multicultural with many opportunities of working all the time in teams with a high degree of diversity, it made my adaptation easier to the organizational environment of the company as well as to the negotiations that I had with many people of different nationalities for selling our programs. I strongly believe that this internship opportunity abroad made me to meet not only one more culture pretty well but how I can be part of it and work according its standards. For my mandatory internship I went to work for the SuiteLife Real Estate Company located in Barcelona, in the field of online marketing. Shortly after my arrival I understood that the working culture of Spain varies immensely than any other that I have encountered in my past. To begin with, the working hours were from 10 in the morning to 7 in the afternoon. This fact, together with the different pacing of life in Barcelona took a while to get used to. After regulating my sleeping hours and changing my daily activities to fit my working hours I started getting used to the lifestyle of living in Barcelona, though personally I tend to prefer waking up and starting to work earlier so that I may finish working sooner than sleeping through most of the morning. Working in the field of online marketing came naturally to me, as I had previous working experience in the field of IT. I was in charge of various assignments, some of which were directly related to real estate and every day management of apartments for rent and sale in the firm while others were entirely online marketing related such as SEO, blogging and creating landing pages. At the beginning of each week we held a KPI meeting to monitor our progress in achieving more visits to the SuiteLife website, and after four months we managed to increase our individual visits to the website by almost 30%. My internship experience in Barcelona taught me a lot about different cultures and of course about the field of online marketing. Learning in Lauder Business School had greatly affected the way I was able to adapt to the different cultures I encountered during my internship while naturally giving me greater knowledge and preparation for my tasks as an intern. I believe that this experience contributed in many facets to my work experience and will assist me in the future. Working for Ticketbar has been a great experience. In fact, I have been working for this company in the past year and a half as a remote agent. Working from afar was pleasant, but I have decided to do my internship there in order to experience the company for real and to get to know my colleagues better. Ticketbar is a Dutch company, but currently most of the operations are done in Barcelona and Portugal. The whole idea of the company is to be an online ticket provider for museums, attractions, tours and excursions all over the world at discounted rates or with other great benefits such as “skip the line”. The company is small and yet truly international (no one could even speak decent Spanish in the office in Barcelona). I was pleased to work with interns from China, Bulgaria, Italy, Greece, Russia, France, Germany, Poland and Holland. 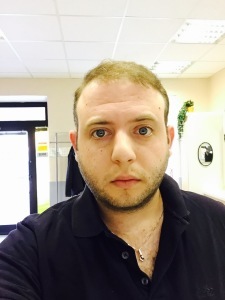 I was the only Israeli in the company and I was in charge of bringing and promoting Ticketbar in the Israeli market. My job comprised of two main tasks. The first task included an online market research in Israel in order to find potential partner websites/travel agencies who may be interested in providing our services on their platforms. Once I had all of the potential partners listed, I had to contact them, offer them our services, negotiate and close partnership deals with them. The second task was to optimize our website www.ticketbar.eu for Hebrew speakers. Apart from translating content to Hebrew, I had to make sure that the website is presentable for Hebrew speakers. 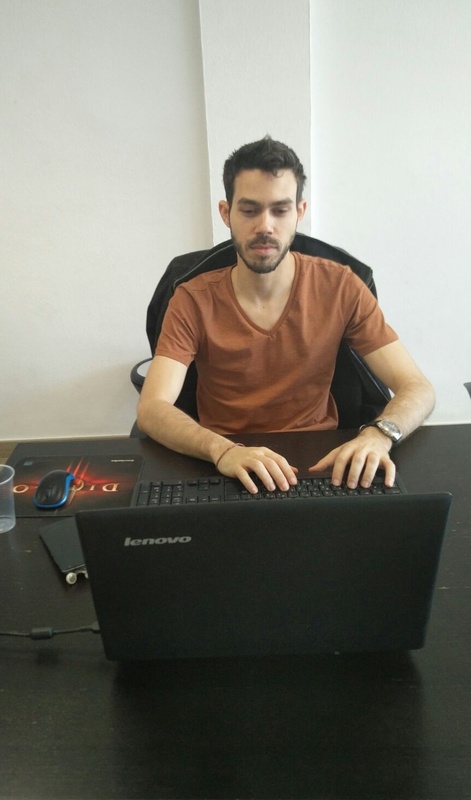 I was doing usability checks and layout adjustments and worked with the developers in order to improve the website. Despite the fact that I have been the only person working for the Israeli market, the support and collaboration from my colleagues were incredible. Technical aspects such as product integrations were always taken care of quickly and efficiently, even though Hebrew related tasks were considered to be the most difficult tasks for non-Hebrew speakers. To sum up, moving to a different country and working in an international environment have contributed greatly to my knowledge and experience. I have been able to implement my knowledge regarding cultural differences and see how things really work in the truly globalized world of the 21st century. 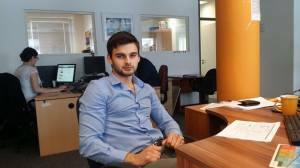 During my internship, I have worked at Legalis Global in Budapest Hungary. My position was Legal Recruitment Assistant, where I activated as a legal recruiter, which involved headhunting lawyers for the biggest international law firms (private practice), as well as for well-known companies (in-house). My tasks have included reaching out to clients and proposing our services, reaching out to candidates for a specific role which we had to fill, pre-screening candidates through telephone interviews and assessing their skills and competences. Furthermore, I had to keep track of the candidate’s hiring process and attend the weekly meetings where any updates on the legal markets have been discussed. During the meetings I had to take notes and hand in the report to the management. Moreover, my tasks also included keeping the company database updated and writing candidate CVs according to Legalis Global norms. The company is multicultural and the working environment is positive. Various incentives were carried out by the management in order to motivate the employees and the interns. LBS courses have helped me significantly in my job in terms of business ethics, interviewing techniques, customer service, computer skills, talent management, etc. I strongly believe that the internship at Legalis Global was beneficial for my future career as I learned multiple thing regarding Human Resources, legal markets in general as well as how an organization works and how successful employees should behave in a company. During my 6th semester in LBS, I have completed my practical training in an international Oil & Gas Company in Romania. The time that I spent in the company was an incomparable experience, which contributed to my professional as well as to my personal development. I was assigned to work with the commercial team. As an intern I had to fulfil a variety of tasks under strict deadlines and with expected high quality outcomes. The scope of work included market research and analysis of Oil & Gas markets in East-European countries, financial analysis and modelling of the current company asset, as well financial modelling and analyzing of potential investment for the company in East-Europe. I also had the chance to participate in very interesting meetings with governmental companies and was responsible for the minutes of those meetings. The Oil & Gas industry is a fascinating sector, which I find very interesting. With the support of Erasmus I gained the chance to work in an international environment with a diversity of cultures from all around the globe and develop my professional and personal skills and knowledge. The Erasmus internship was a great way to gain practical experience abroad. I was working in the project management office at the KAEFER Isoliertechnik headquarters in Bremen, Germany. KAEFER is the world’s largest provider for complete insulation solutions. KAEFER executes business in 3 divisions: construction, industry, marine and offshore. Support the management and further development of the international project management qualification program for KAEFERs 50 subsidiaries worldwide (e.g. Netherlands, Brazil, Qatar, etc.). Support the planning and execution of KAEFERs strategic corporate projects and the administration of professional development of “KAEFER academy”, such as Project Management Professional certification Model, Integrating PLC, Iso and Lean, etc. The internship turned out to be better than I expected: I learned a lot on the professional as well as on the personal level. This was an unforgettable experience that exposed me to the business world, new cultures, and languages. As an Israeli you are exposed to quite a few extremely different cultures from the moment you are born, since Israel is known for its “melting pot” population. The intercultural classes and workshops I have attended at Lauder Business School, and the fact that I was surrounded by students from all across the world, have prepared me even more for the Erasmus experience. I have always loved Spanish, and took it as an extra language course in LBS, so for me it was never a dilemma when it came to the question of where I should do my internship. The fact that I had a friend in Barcelona made this decision even easier, and gave me the privilege to understand the Spanish culture more profoundly, including the Catalan battle and the independence dilemma. The Spanish nation always seemed to me like a mixture of the Western European culture and the Latin American culture: not too strict but not too loose – a perfect combination. I was working as a business developer intern in Production Media Network, which is located in Barcelona’s World Trade Center. It is a very international building complex, where you basically hear in one elevator ride French, German, Spanish, and English. Only in my office I was surrounded by interns from more than 8 countries. I was working in one of the company’s main websites: modelmanagement.com. It is basically a platform which helps industry professionals, agencies, and models communicate with each other. To understand profoundly the company’s objectives, I had to be a part of it, just like the rest of the employees, so I have shared with them the daily tasks, from client service to members’ moderation. I could apply in my work the knowledge I had gained in the marketing classes, especially during the brainstorming sessions which were set and operated by the interns’ initiative. Furthermore, I used my intercultural and financial knowledge from LBS to develop a project that will help the company expand internationally. The interaction of the interns did not end when the working day was over. We went to the beach, we attended house parties where I have met even more international students, we celebrated each other’s birthdays, and went on trips together. The opportunity to be exposed to others’ perspectives of life, and their way of thinking, their life attitude not only helps me to pursue my future dream career (which will definitely be related to cultural psychology), but mainly to the development of my personality. No matter how many cultural classes you will take, you will never truly comprehend someone else’s culture until you will experience it on your own flesh and bones. Dramatically as it may sound, it is the reality, and if you have at least a pinch of an interest in occupying a vacancy in which you will have to deal with intercultural clients and/or colleagues, it is the best thing you can add to your knowledge and your CV. During three months, I have been working at TRANSLIT, the organization, which specializes in providing Company Formation, Interpreting, Translation and Consulting services. The company is based in Ireland and has two offices in Limerick and in Cork. I was at the position of Office Manager and had a large array of responsibilities such as dealing with clients and partners, coordinating the work of both offices, managing projects, making sales calls, etc. Furthermore, I was deeply involved in marketing activities by developing and holding marketing campaigns and assisting in designing annual marketing plans. I have been also representing the company on different business meetings where I was conducting presentations, talking about current company’s achievements and prospective plans and aspirations, answering questions, and establishing business contacts with other entrepreneurs. Apart from cultivating professional skills, work at TRANSLIT was a great experience in terms of intercultural communication, as I have been closely working with colleagues from Ireland, Poland, Germany and Italy. All the duties and projects I was assigned to, were highly relevant to the IML degree program and thanks to Lauder Business School I could easily adapt to multicultural environment. Furthermore, I could easily grasp the idea of the given task and deliver the results of the highest quality. This work and my stay in Ireland are an absolutely unforgettable and valuable experience. I am very grateful to Lauder Business School and the Erasmus+ Team for encouraging me to do this internship and assisting with all the documents and visa related issues. I am very happy that I have had the opportunity to participate in th e Erasmus+ internship program. It gave me the possibility to work abroad and gain very useful experience. 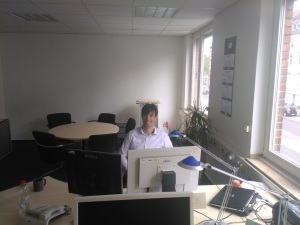 I worked as a project manager in the IT company “White Label IT Outsourcing”, Warsaw, Poland. The IT industry is one of the fastest developing fields in the international businesses. As a project manager, all the knowledge I acquired during my studies in the Master program in International Management and Leadership at Lauder Business School perfectly complemented my function. The main field of business activity of this company is developing web-sites and mobile applications. Usually, it caters to the clients of start-ups or is designing new projects and services, which was very interesting for me. Most of the employees, managers and company owners are young and talented people; hence my working environment was very international and fomented the creativity. My position as the project manager required profound knowledge in business processes, communication and presentation skills. 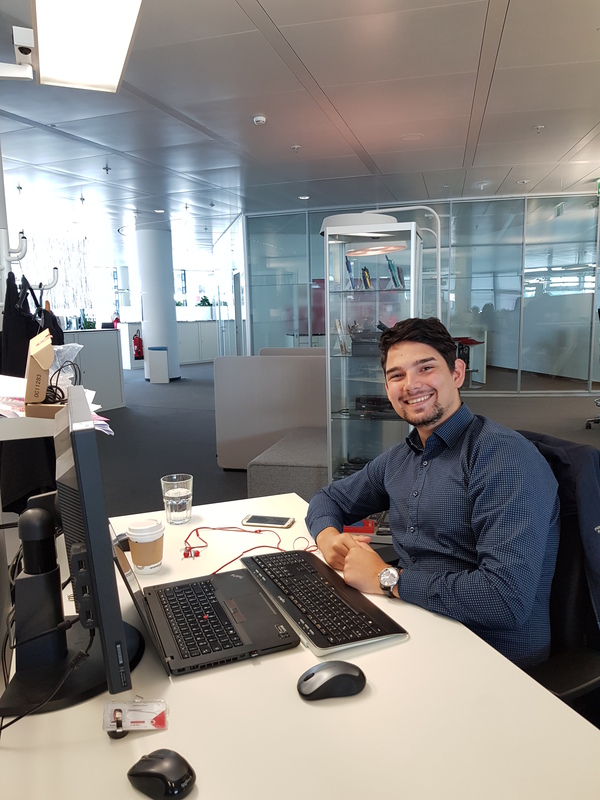 The most important experiences I gained during my internship were the improvement of my communication skills in an international working environment and the specific knowledge of the IT sector. I am grateful to LBS and Erasmus for this opportunity.